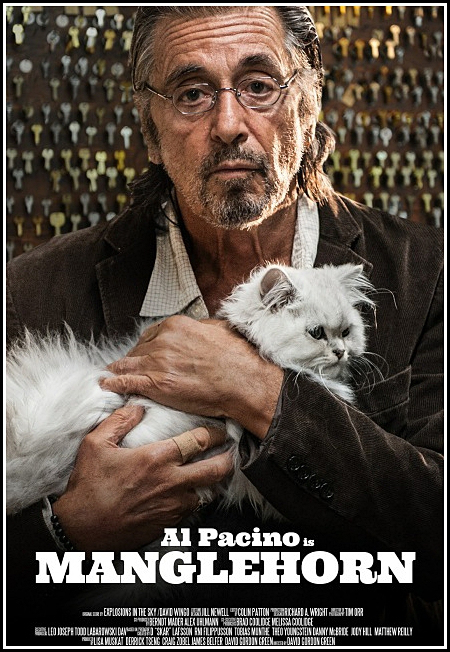 In his new movie (which mores more than a passing resemblance to another “old man and his cat” movie “Harry and Tonto,”) Al Pacino plays a lonely locksmith who has only his cat, Fanny, for company. He spends every day writing letters to the woman who got away and occasionally flirting with the bank teller (Holly Hunter). Chris Messina (“Julie and Julia”) plays his estranged son in this indie from director David Gordon Green (“Pineapple Express,” “Joe”). The film opens on June 19.